take the seeds and stringy bits out of the middle of the kabocha with a spoon and throw them away. use a knife to cut off any welts or super dirty spots you see on the outside, but otherwise leave the green knobby skin intact. cut the kabocha into bite-sized pieces. put it in a pot. add enough chicken stock to the pot to cover the kabocha. crank up the heat and bring it to a boil, then cover the pot. let it cook until the kabocha are soft enough to pierce all the way through with a chopstick or fork. peel your onion and garlic, and mince both finely. add them to a frying pan with a little bit of oil and cook over medium heat for two or three minutes. add the ground chicken and black pepper and cook until the chicken almost completely done all the way through. make sure to break it up nice and small to get that keema sensation just right. drain most of the chicken stock, but make sure to retain a little. add the garlic-onion-ground chicken mixture to the pot, and mash using a spoon or a potato masher. turn the stove to low heat and bring the mash to a simmer. slowly add the heavy whipping cream in a circular motion. you don’t need a whole lot, about a 1/4 to a 1/2 a cup should be plenty to get the creamy texture you are shooting for. cover, and let the ensemble simmer for another 10 or 15 minutes over super low heat. kill the heat, remove the lid, and stir in the curry roux one block at a time until you reach the desired texture. please, be careful. make sure to taste as you go, and remember that curry tends to thicken up a lot as it starts to cool. you basically just made a chowder, so you don’t need to add a lot of curry roux for the sake of thickening your dish. one or two cubes should be plenty. dive in and get messy. 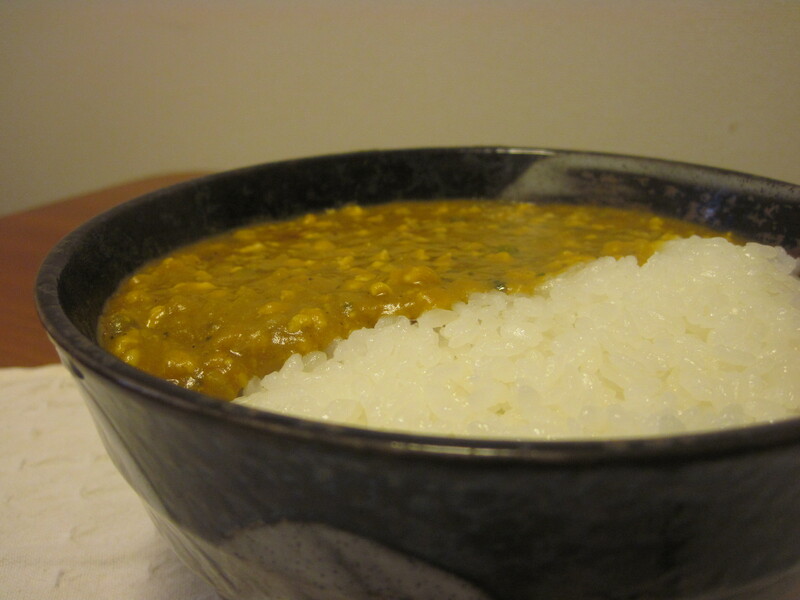 pour it over rice, eat it with homemade nan, or leave a little more stock in next time and eat it as soup-curry. anything goes, just have fun with it.